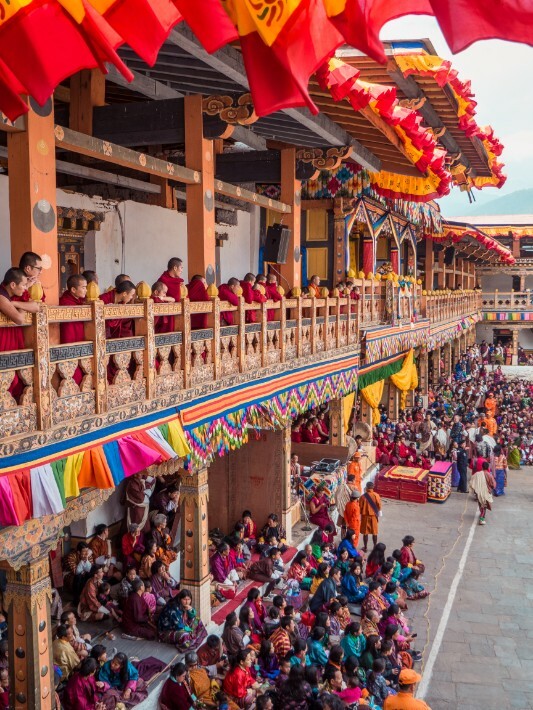 I entered Bhutan with intentional zero expectations and research done about the country – except that it is landlocked (It being surrounded by Tibet in the North, India in the South and East, and Nepal in the west). As the only country I know that puts a restriction on tourists coming and going, it has earned its mysterious reputation. And this trip is all about uncovering its layers to learn about what Bhutan really was all about. 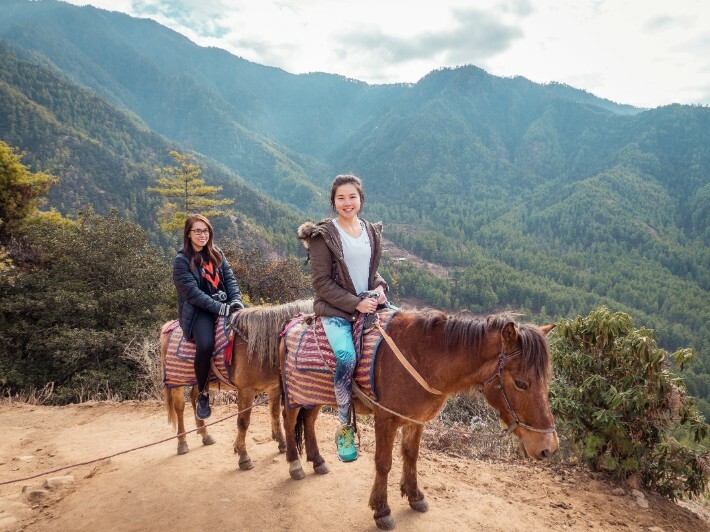 Rich in natural beauty, exotic plants and animals, and most notably for its crazy wisdom, many come here to be enlightened and achieve happiness. 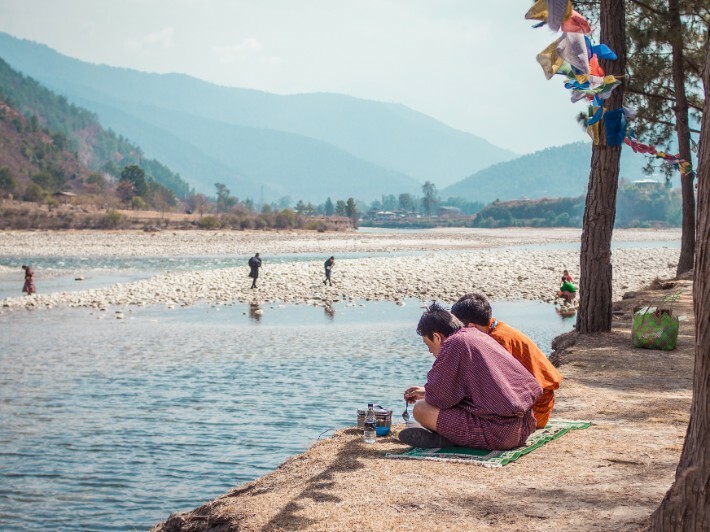 Most Bhutan visitors are drawn to either its culture, way of life, happiness index or religion. 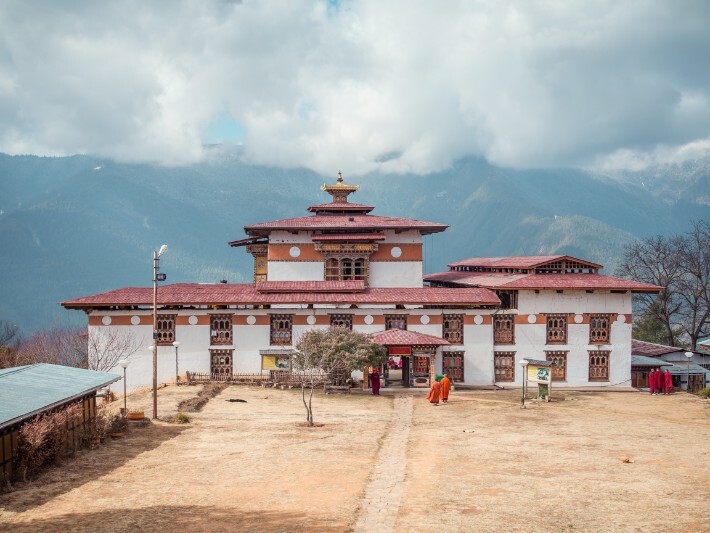 Apart from these basic impressions I had about Bhutan, I chose to let Bhutan hit me with its rawness by being physically on its soil, to see if it really lives up to its revered reputation and distinct identity. With an open-mind, I put Bhutan to the test in the next 7 days, crossing Paro, Thimpu and Punakha. 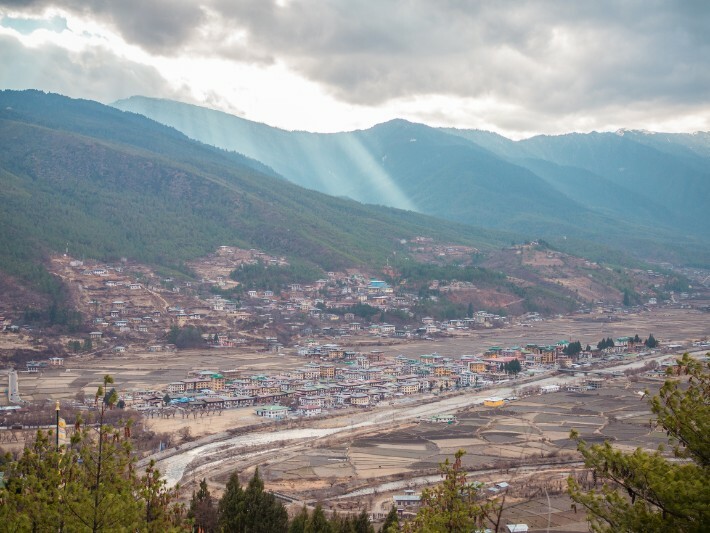 Here’s what I’ve gathered about this Land of the Thunder Dragon (which might be helpful for you to note if you decide to visit Bhutan one day, or be convinced to!). Flights going into and out of Paro airport is quite a sight. Rarely (or never) will you be in a plane that just about fits between high mountain barriers into a landing strip made from a valley. That’s how close you get to the mountains while in the air! 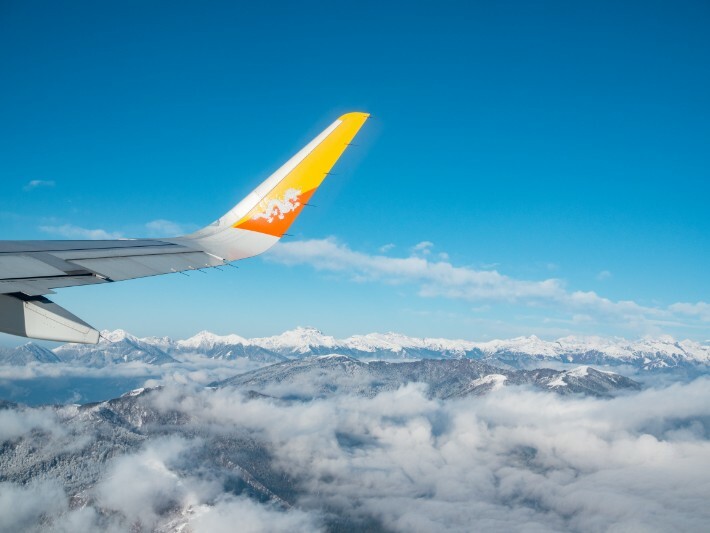 HOT TIP: For the best views of the Himalayan mountain range, request for seats on the left when flying to Bhutan and seats on the right when flying from Bhutan. Due to its geographical nature – the whole country being on a high altitude of about 2000m above sea level – these are some of the (sometimes drastic) weather conditions to prepare yourself for. It is worth noting that I visited Bhutan in mid-February. I have never experienced a climate so dry in all my travels around the world. I thought New Zealand’s air was dry, I thought Finland’s Nuuksio National Park in autumn was dry, but they pale in comparison to the dryness I experienced in Bhutan. It was so dry that my nose was painful even to touch – it was cracking all around. I highly advise bringing proper moisturiser for your face and body, and a lip balm to protect your lips! Even when it’s not winter season, icy road conditions can happen anytime at higher altitudes. When that happens, the whole road will be closed off to prevent accidents. This might mean the journeys from one town to another might be stalled, for there sometimes is only one pass that takes you across. For that reason, we weren’t able to visit Chele La Pass when we were there, which, at 3,988 m, is the highest road pass in Bhutan. You’d think that they are well-equipped with snow tyres aye? But no. Because the import/ export business is limited to what India can offer, they live with cars that aren’t equipped with snow tyres. And they’ve been surviving well so far without them ever since motor vehicles became commonplace in Bhutan! The terrain is interspersed by undulating hills and mountains. You’ll find yourself on a monastery on a hilltop one day and a national museum with a viewpoint the next. The winds from above can be strong (and cold if it’s in the winter), so have a scarf readily accessible for as and when the wind hits you. When it hits, it hits hard. Again, because of how much higher we are to the sun, the effects of the sun are felt much more here. You’ll see that most of the local Bhutanese are unsurprisingly dark-skinned, courtesy of the harmful sun rays. Slap on sunscreen whenever you head out. I know we’d be travelling long distances by car, but I never expected the roads to be so winding. It was so much so that many tourists reported getting car sick during the long rides. My poor friend didn’t have an appetite for almost the whole trip because of the amount of driving required almost daily. Please, please bring some motion sickness pills before you come if you’re prone to car sickness. When it comes to food that is, forewarned our guide. 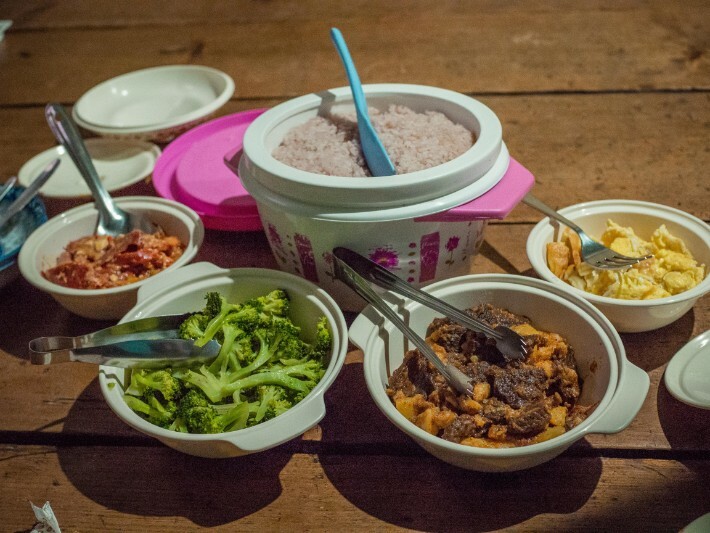 When Singaporeans visit Bhutan, he knows we come with some level of expectations about food, and with good reason, since Singapore has such a diverse food culture. As a religious country, killing in Bhutan is a crime – even of animals. All of their meat are imported from neighbouring countries, and since most of the locals are vegetarian, the demand for meat isn’t high. As such, I found the vegetable dishes to be tastier than the meat dishes. They swear by spice. No meal in Bhutan is complete without spicy food, and they don’t spare with the spiciness! If you aren’t a fan of spicy food, it might come as a relief for you to know that most of the tourist-prepared food are usually less or not spicy. No Alcohol Tuesday, also known to the locals as Dry Tuesday. It is a day where no alcohol are sold in shops. Fast food? Thank gosh not. There are absolutely no fast food chains in Bhutan (yet). Even hotel chains are not omnipresent around the larger cities, though some chains like Taj Hotels and Six Senses have already established their hotels there. With the exception of food stalls, most shops close at 4pm during winter, and by 5pm for the rest of the year. Shopping is limited. The only items you’d normally spend on are alcoholic drinks, food, books, handmade products (fashion accessories, purses, bags) and souvenirs (postcards, art pieces). I will soon share a post on what to get from Bhutan that are truly unique to the country. You might worry less about figuring how much local currency to change knowing that you can easily change your foreign currency in town. Simply inform your tour guide whenever you need to change and he can bring you to the nearest bank, which is pretty accessible across all the towns. While you can change your currency at the airport, I suggest you have a feel of what the general costs of things are and what you want to buy first by walking around town on the first few days. Most of the tours you go on would usually already have your accommodation, food and transport covered, so unless you’re buying additional items or services, you don’t need to spend on much. The currency rates fluctuate and change on a daily basis. Public toilet conditions aren’t the most well-kept, especially when you have large festivals going on. I would just advise you to bring your own tissue and sanitisers. Enough said. Don’t stick to the same tour as everyone else! 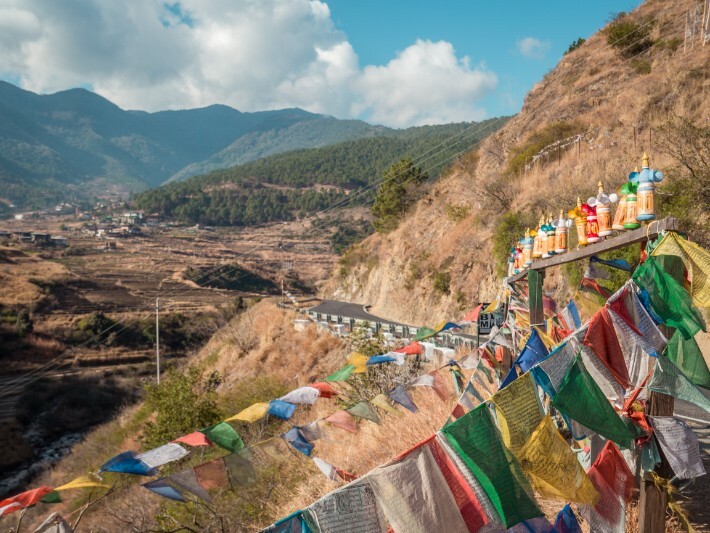 Even if you don’t know about the sights in Bhutan, there are a few things you can request from your tour to spice it up! Wouldn’t pass up wearing a kira! 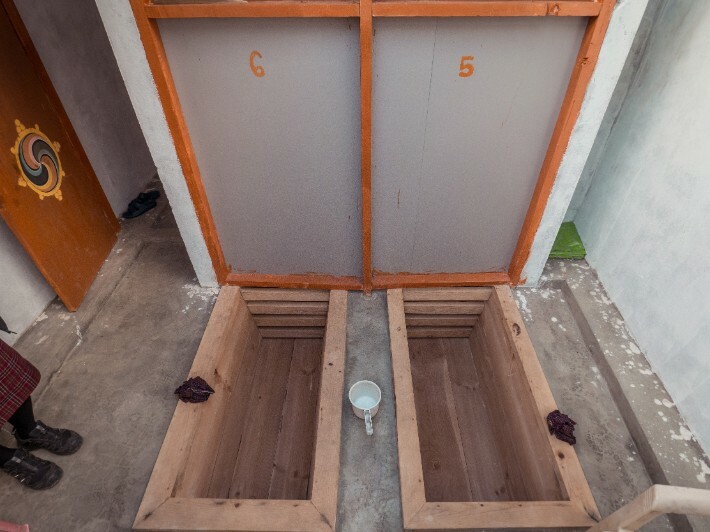 Taking a hot stone bath – The stone bath is traditionally taken in a wooden trough. 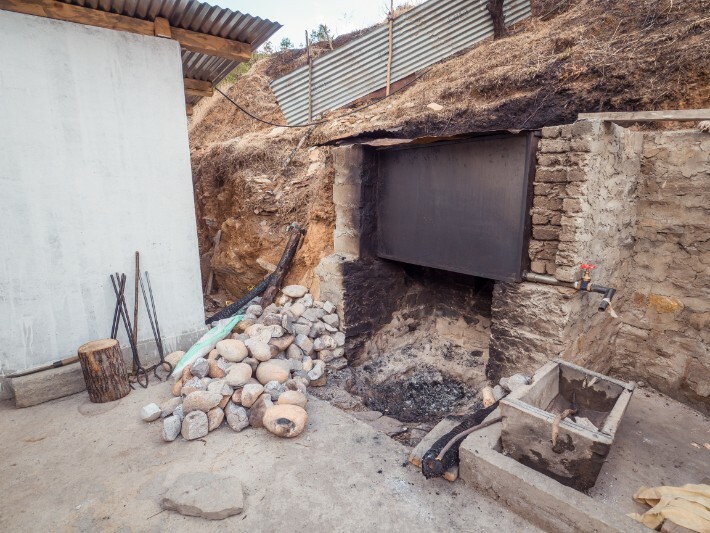 One end of the trough has a separate section where stones heated by a fireplace are placed. The water is heated by these stones and release their healing materials. Soaking in a stone bath is said to give instant relief from aches and pains. 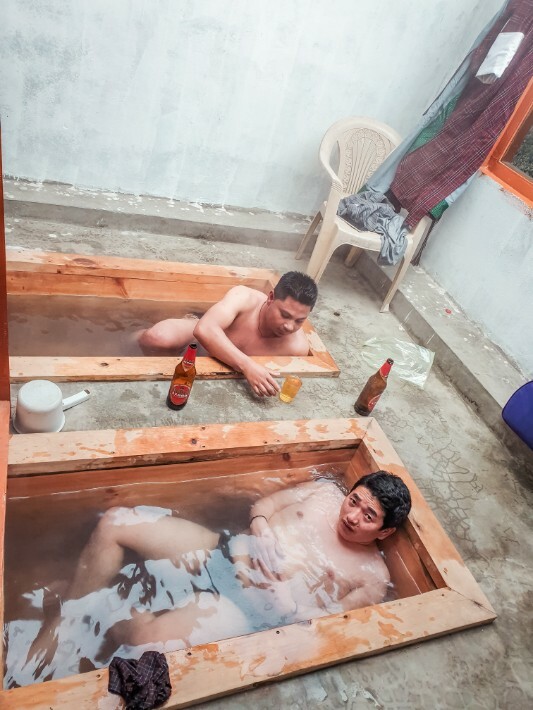 The Bhutanese swear by the healing properties of hot stone baths. You can find them scattered all over the country, close to springs whose waters are rich in minerals. There you have it! Usually people go in naked. Stray dogs galore! Again, going by their “no killing” rule, stray dogs are left to populate. It almost feels like they’ve overtaken the human population in Bhutan. You’ll find them in the cities, in front of shops, crossing roads, by the temples and monasteries, even atop a hill and hanging around in the middle of long highways (god knows why). It is mandatory for the traditional costumes (kira for women and gho for men) to be worn on all formal occasions – to school, work (even if it means tour guiding), temples and festivals. It surprises me how much more common I see traditional costumes in my day to day visits than I thought I would! Camera – you want to capture all of this mystifying country! I use this Olympus. Go Pro – what’s a road trip without filming the road sights? I use this. Additional printed copies of visa – your guide would usually have copies of it, but in case they don’t, you’ll need these copies at main attractions to be exempt from paying the entrance fees. Money – I recommend USD200 for souvenir-shopping and tipping, and this is coming from someone who doesn’t usually shop overseas! For a more comprehensive packing list, you can check out my summer or winter packing list guides. 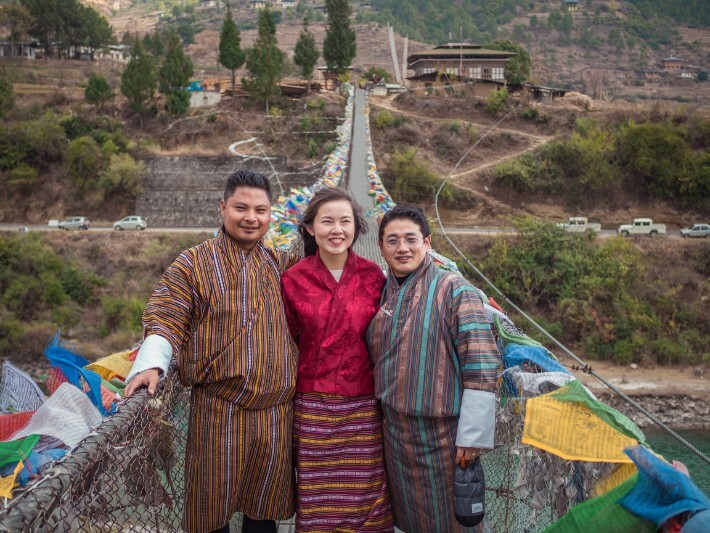 Special thanks to DrukAsia for this Bhutan experience! All opinions remain my own. Next PostPunakha Tshechu in Bhutan - Slaying Demons & Evil Through a Dance?